Are you sure you want to remove Patrologia Orientalis from your list? 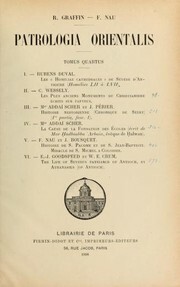 Translations of Oriental books, from Syriac, Ancient Greek, Ethiopic and Coptic, into French and English. III. — Mgr Addaï Scher et J. Périer. IV. 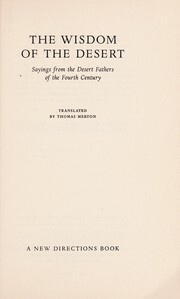 — Mgr Addaï Scher. 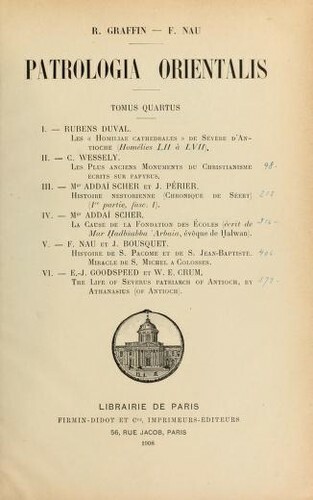 V. — F. Nau et J. Bousquet. VI. — E.-J. Goodspeed et W. E. Crum. The Life of Severus patriarch of Antioch, by Athanasius (of Antioch). January 11, 2017 Edited by i r firefly Edited without comment. January 11, 2017 Created by i r firefly Added new book.